A fraudster pretended he was a mortgage adviser to embezzle three nurses out of more than £100,000. 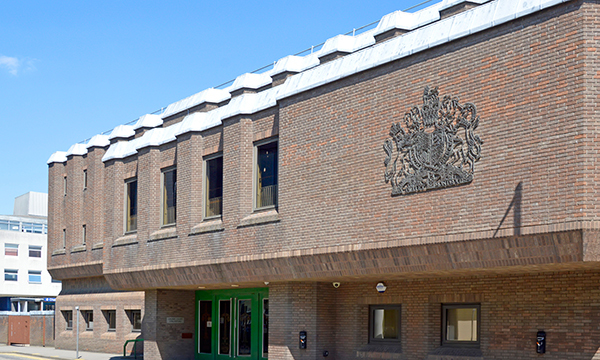 Johnson Umax was convicted of three counts of fraud by false representation on 15 April following a two-week trial at Chelmsford Crown Court. All three nurses loaned Mr Umax money, believing he would use it to help them secure a mortgage. He began a relationship with the first victim in February 2013 after they met through an online dating site. When she told him she wanted to buy a house, he claimed he had a mortgage company and she agreed to give him a deposit. Mr Umax, from Chelmsford, Essex, then twice asked for more money to secure the property and took more than £30,000 from the nurse. He met the second victim in November 2013 and they later began a relationship. When she told him she wanted to buy a property, he claimed he would buy a house for her, sell it at auction for a profit, then use the money to buy another house for them to live in together. Mr Umax also convinced her to finance a car for him. However, the nurse discovered that not only had he taken £40,054 from her and not bought a house at auction as promised, but that he was also married. Before his second victim discovered his deception, she had recommended him to one of her nurse colleagues, who was also looking to get a mortgage. Mr Umax took more than £40,000 from the third victim between July 2014 and August 2015, and lied that he had bought a property on her behalf. During his trial, Mr Umax claimed he had been in relationships with the three nurses and that they had offered to help him with debt. But the court heard this was untrue, and that he was never in a relationship with the third victim. Speaking after the verdict, investigating officer detective constable Chris Sedgwick of Braintree CID said: ‘Johnson Umax is a confidence trickster who manipulated his victims with promises and lies. ‘He lied and cheated in a calculated way to extract as much money from his victims, all of whom are hard-working nurses. Mr Umax was remanded in custody and is due to be sentenced on 24 May.